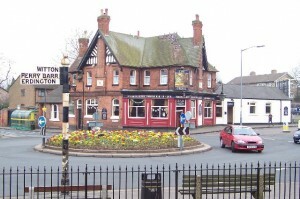 Ah, the brilliant Handsworth, one of my very favourite areas of the brilliant city of Birmingham. 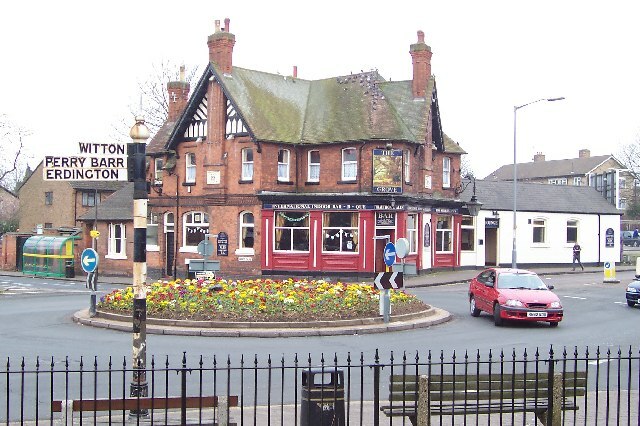 Handsworth can be found just on the outside of the busy city and is one of the most promising and thriving districts in Birmingham largely due to it’s recent business developments and thriving housing market. Prior to becoming part of the city, Handsworth was once only a small, farming village with it’s only resident’s being farm and factory workers within the town. This didn’t last very long however, and as the city of Birmingham began to boom, so did this little village, transforming itself into one of the most populated city areas. Over the years, Handsworth has had the pleasure of hosting some of Birmingham’s most fantastic and much loved events including the Birmingham Dog’s Show, The Birmingham/Handsworth Festival and the Birmingham Tattoo, to name only a few. Today, Handsworth continues to play an important role in hosting some brilliant events and here at Spitting Pig West Midlands we have been lucky enough to be able to provide some very special catering for them. Now then, you might be thinking that hog roasts consist and revolve only around pork sandwiches, but you would be very wrong! Of course, the humble hog roast sandwich absolutely earns a place in our catering business and well within it’s own rights too! It isn’t just any sandwich, our several hour, slow roasted pork meat melts in the mouth and is deveine stuffed into one of our baked on the day bread rolls and smothered in some fantastic home prepared accompaniments (yes, we are talking about lash ings of stuffing and apple sauce!). 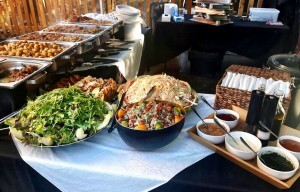 But of course, our highly trained chefs are able to also provide you with the hog roast of your dreams with more formal yet equally as delicious sides. Take for example our jacket wedges, garlic butter roasted potatoes and our tasty salads for a start, with plenty more side options to choose from we are certain we have something to suit you! If all this talk of our expertly prepared, slow turned hog roasts has got you working up an appetite, get in touch with us here at Hog Roast Handsworth to meet both your catering needs and dreams!